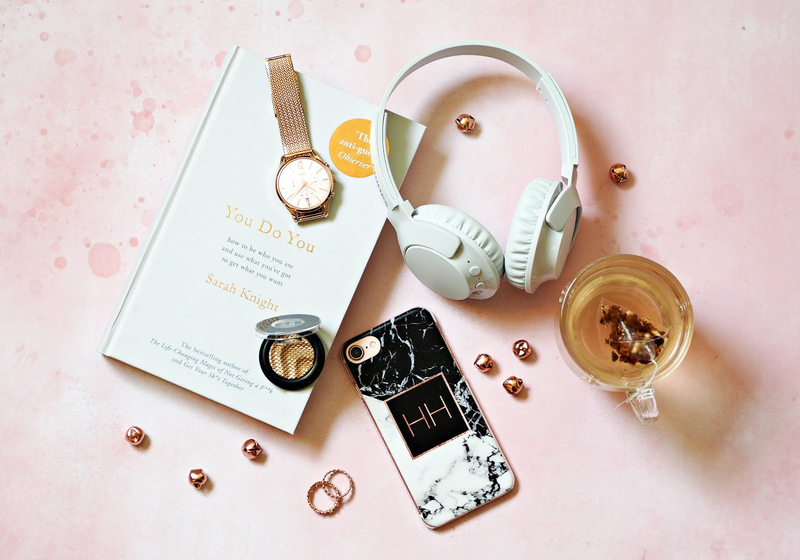 Much has been written about the joys that being a full time blogger brings: flexibility, autonomy, control, diversity and generally an increased work-life balance. The lifestyle has become a dream of so many young men and women, who wish to emulate the success and so-seen ‘super cool’ day job of their favourite stars, and a real possibility to a whole generation of creatives. With the increase of the so-called ‘slashies’ (those that have more than one career path at any given time,) we’re free to pursue whatever heights we’ve set our sights on and often need little more than a WiFi connection to get started. I genuinely applaud anyone who goes at it alone and undertakes a relatively risky path, because it’s seriously hard work; yes you reap the benefits self employment brings, but in all honesty I’ve never worked as hard in my life as I have right now. It doesn’t matter if you’re a blogger, digital creative, artist, musician or anything inbetween – what’s often percieved on the outside is the gloriously regal swan gliding along the river, when the reality of peddling like you’ve run out of time is happening right beneath the surface. After a recent conversation with someone who assumed my life was easier, quieter, less intense and involved a lot less hours at a laptop than working a traditional 9-to-5, I thought I’d document a week in my life just to give you a taster of what *really* goes on behind the glossy Instagram snaps. Although every week is different, it just illustrates that work doesn’t always finish in time for tea – and sometimes you have so much that just has to get done that you keep going until you pretty much fall into bed. After getting up at some ridiculous hour, I’m on my third coffee already and scheduling all my promotion across my social media pages for the week. To maximise time efficiency I spend a couple of hours on a Monday morning filling my feeds so I don’t have to worry about it for the next seven days, and it really does pay off. I punch out a quick blog post to go up that day (because I ran out of time last week to get some content in the bank) and rush off to my fortnightly acupuncture appointment; spending so much time at a laptop or driving up and down the country leaves my muscles sore and my body tense, but I feel like it really helps to re-balance. An hour and around twenty needles later, I pop over the road to work from Starbucks for a few hours and work on two presentations for later in the week. One is on working with influencers, while the other is focused on how the beauty industry communicates certain messages; totally different, but equally topics I’m passionate about. By 2pm it’s time to shoot off home as I have a delivery coming I need to be in to receive, so I spend the rest of the afternoon working on blog content and taking a few snaps for future posts. When my husband gets home at 6pm we shoot off to the gym for a workout, before coming home for dinner and Netflix. Today I’m shooting some new outfits with my photographer Kaye so there’s plenty of images in the bank for future fashion content; because I was pretty knackered last night I haven’t prepped or planned any looks, so I get up early to pull them together and ensure I have enough shoes / bags / accessories to see me through. Everything gets packed into a suitcase by outfit and I jump in the car to make the 45 minute journey to St Albans. Six looks down and it’s time to enjoy the waffles and coffee I bought as a prop! Kaye needed to shoot off to prep for a trip, so I take half an hour to myself to enjoy the food and view before getting back in the car to get home for a conference call with a European brand’s marketing team – they want to know all about ways of working and how best to connect with influencers, so I spend some time talking them through. An hour later and it’s back to emails; there are so many campaigns to manage right now I spend most of my days reading contracts, writing proposals or creating content that needs approving… Before I know it it’s time for dinner and to call my mum for our weekly catch up. My one and only day working completely from the office and I dive deeply into writing content, taking photos, clearing emails and refining the presentations I’m due to give in the next two days. On days like this my office looks like a Boots store has exploded and I end up with random props in the corridor, waiting to be used. I’m so busy that I totally lose track of time and forget a conference call I’ve arranged with my Marketing Exec (who helps on Thirty Plus projects,) and the next thing I know Greg James is on the radio. When he gets home, Josh kindly runs to the Post Office to pick up a parcel I need urgently for a sponsored campaign so I can carry on working. I know I won’t be around for the next few days so I’m conscious of clearing all the important emails, as well as getting some content in the bank to schedule, but before I know it it’s the end of the day and I’m editing photos on the sofa with a cup of tea. I get to bed about 10pm knowing I have to be on top form in the morning. An early start as I have to be in London for a full day workshop with Unilever at 8.30am; as I don’t live in London it takes me about 90 mins on a good day to get to where I need to be, and I’m not a morning person! After wandering the streets of Waterloo I finally arrive and get stuck into to helping develop some new product ideas, before presenting the industry insight I’ve been preparing all week. The day flies by and at 6pm it’s time to head home; Josh picks me up from the station with my gym bag in the boot so we can head straight for a workout, but to be honest my body and mind are exhausted and after 45mins I’m ready to call it a day. After throwing some dinner in the oven and jumping in the shower, I get changed into an outfit I need to shoot for tomorrow and head off down the road to find a good spot to take a snap; we’ve only got about 30 mins to nail it, so the pressure is on, but luckily Josh is super patient and we can head back before dinner gets cold! After we’ve eaten I start to edit the photos we’ve taken and get them ready to post tomorrow, but it’s already 10pm and I still need to take some snaps of Tic Tacs that have just arrived and get them off to the brand before bed. The flatlay backdrops come out and I’m there in my PJs trying to nail a photo of sweets at 10.30pm, before editing and sending it across to be approved. At 11pm I fall into bed wondering if it’s the weekend yet. Awake at 6.30am to get on a train at 7.15am to be at a presentation at 8.30am. What’s sleep again? This morning I’m talking to some really exciting brands (including Next, Boots and Dunelm) about how best to work with influencers for mutual benefit – and what makes a good / bad campaign. Apparently I’ve been identified as the 7th best content creator in the lifestyle category to work with (go me!) so they’ve invited me to talk about my experiences, and why choosing your bloggers wisely is so important. It goes incredibly well, but as soon the session is finished I have a quick chat to some of the attendees and call an Uber to get me across town to the second day of my workshop with Unilever; another intense day of idea curation which leaves me feeling a bit frazzled, but the good news is Josh is treating me to Wagamama’s and Jurassic World when I get home! Happy Friday! Rather unusually Josh is working today, so left super early to get to the workshop. I get up about 9am and spend most of the morning cleaning, tidying and sorting – when I have such busy weeks there’s barely time to wash up, let alone anything else. But a clean and tidy home is so important to me, especially it’s where I work as well as live. A quick stop for lunch and an episode of The Handmaid’s Tale is followed by a much-needed afternoon of catching up on emails, editing photos and planning next week (which is just as busy.) It may be Saturday night, but I feel like falling asleep in a ball instead of partying the night away right now. A new client meeting on Monday, a trip to Birmingham for a client update meeting on Tuesday, a day of meetings and a collaboration event Thursday, a call about a potential documentary on Friday, and tonnes of photos to shoot in-between for sponsored campaigns. (It’s a good thing my husband is becoming pretty nifty at a camera with short notice!) All that and I haven’t even written any blog posts yet. Who said the life of a freelancer was supposed to be easier? It’s definitely not, but I wouldn’t change it for the world. Next Post Childhood Faves Never Go Out Of Style: Open Up With Tic Tac & Create Your Own Personalised Box! Absolutely fascinating Hayley! 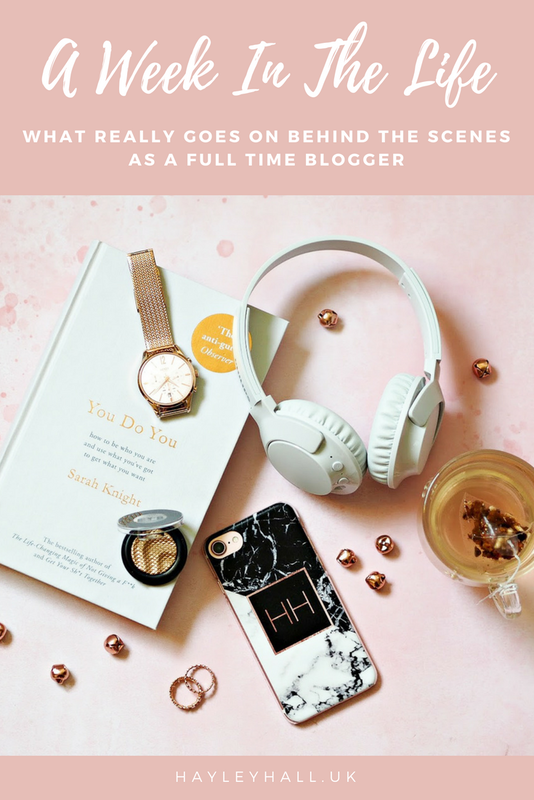 I don’t think anyone realises the hard work behind the blog and it is hard work. Thanks so much for sharing a small insight. Glad you found it interesting – it's just a snippet, but hopefully illustrates being a full time blogger isn't sitting at home in your PJs! Wow, it's really interesting to read how you work and how busy you are, you are definitely a very hard worker! Haha I work hard, but it's because I love it and I adore trying to build something. Glad you found it interesting! Thanks so much Lauren – and good luck with your own journey!